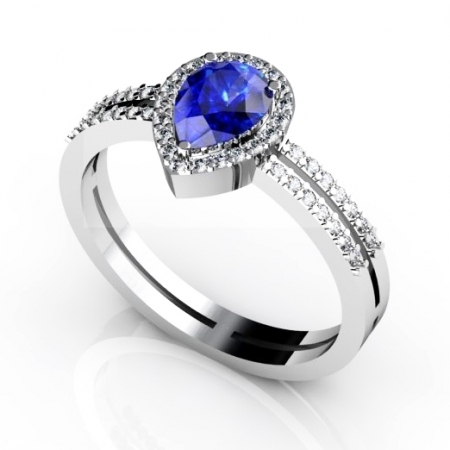 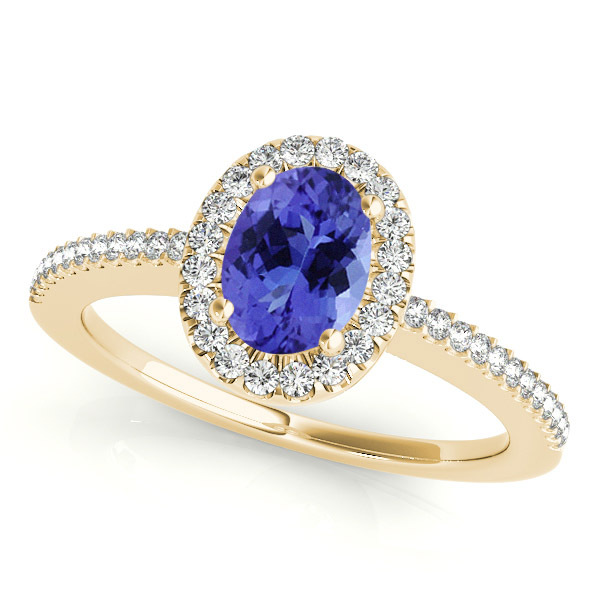 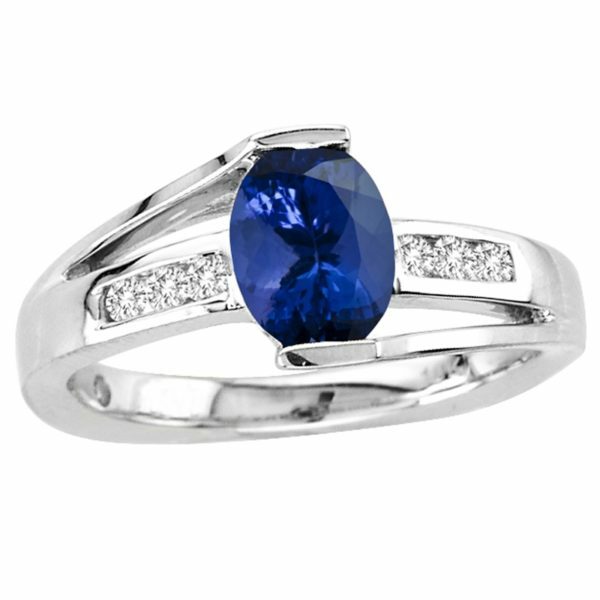 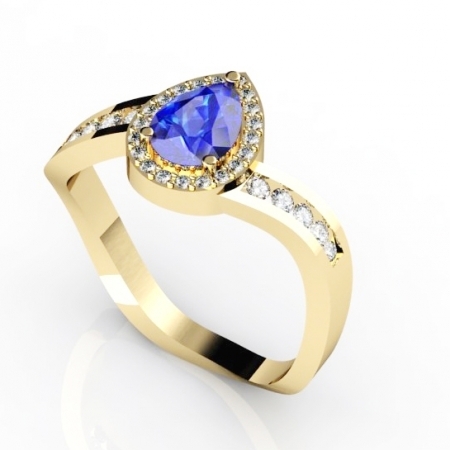 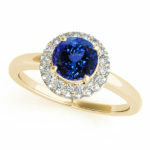 The bright blue tanzanite is prong set and glistens remarkably. 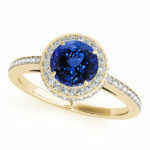 This oval blue center stone is encircled by a glimmering halo of diamonds, enhancing the luxurious look of this vintage ring. 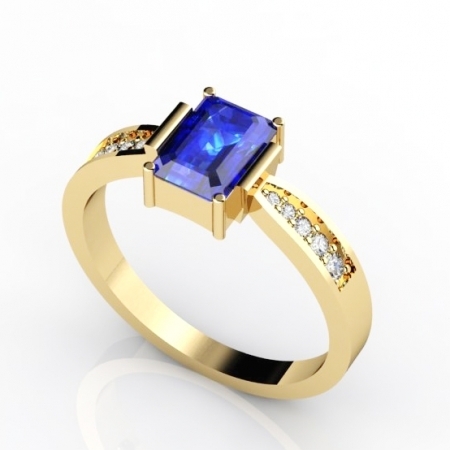 Also, the diamond accents on the split shank and the detailing on the gallery infuse a hint of opulence to this striking 14k yellow gold ring.